Sony has announced a slight dip in profits for October to December, with the TV sector to blame for the financial decline. Sony reported a 5.9 per cent fall in operating profit to 137.5 billion yen (£1.3 billion) for the October-December period, but this did leave its full-year operating profit forecast at 200 billion yen, which will be a slight rise on what it made in 2009. Sony had its gaming sector to thank for keeping its profit margins fairly stable. 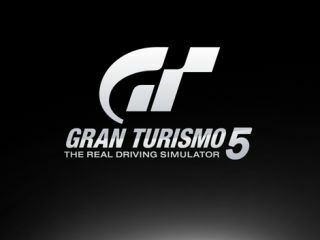 The arrival of Gran Turismo 5 and other key games meant that operating income from this sector nearly doubled from the previous year – to 45.7 billion yen (£346m). Predicted sales of the PS3 for the financial year are staying steady at 15 million, though, with 6.3 million PS3s sold in the quarter. "The game business benefited from significant cost reductions of PlayStation 3 hardware and higher unit sales of PS3 software, which favourably impacted the change in segment operating results (excluding restructuring charges)," said Sony. It was a different story in the television sector, with sales of TVs in the full year looking to be 23 million units – down two million from the previous year. Profits have been hit hard, too, because of strong competition driving prices down. Sony's consumer, professional and devices division, which houses the TV business, was hit with a 47 per cent profit dip. While this has means that annual revenue forecasts has had to be lowered by three per cent, the sales of TVs were actually up because they were cheap to buy.